Manchester United's record signing Paul Pogba wants to see club great Ole Gunnar Solksjaer remain as manager beyond this season. Paul Pogba has exclusively told Sky he wants Ole Gunnar Solskjaer to replace Jose Mourinho as Manchester United boss permanently. 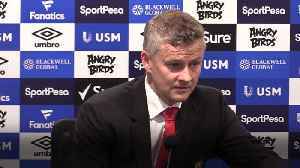 Ole Gunnar Solskjaer was non-committal when asked about Manchester United's desire after admitting their 4-0 hammering at Everton was "difficult to describe because it is so bad". 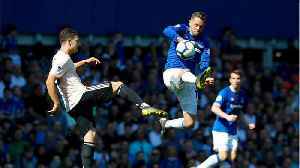 (CNN)Manchester United suffered the worst defeat of Ole Gunnar Solskjær's reign as manager, going down 4-0 against Everton at Goodison Park. The hosts took a commanding first-half lead thanks to goals..
Ole Gunnar Solskjær meets supporters after his side's 2-1 win over West Ham. 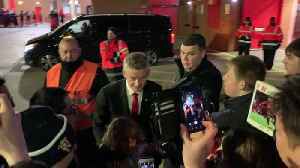 The Manchester United manager greeted fans outside Old Trafford. 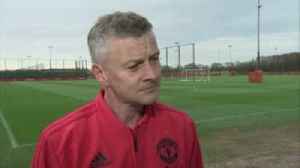 Ole Gunnar Solskjaer has played down Paul Pogba's comments about Real Madrid and insists the midfielder is happy at Manchester United. 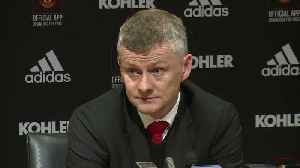 Manchester United manager Ole Gunnar Solskjaer praises Watford's performance and labels his side's as "sloppy" after United's 2-1 win at home. Ole Gunnar Solskjær's career shown in pictures after the Norwegian manager becomes the permanent manager at Manchester United. Danny Higginbotham says Ole Gunnar Solskjaer is the right man to help Manchester United regain their identity. Manchester United midfielder Paul Pogba says Ole Gunnar Solskjaer has given the players the confidence to play again since he has taken charge at the club.